Molekule’s PECO technology uses low-energy ultraviolet (UV-A) light to initiate the oxidation reaction that completely destroys pollutants on the surface of the PECO-Filter. The ultraviolet light is absorbed by the filter, and visible blue light is emitted. This is the blue light you see when Molekule is running. Molekule’s Dark Mode turns off the ultraviolet lights and can be used by those who prefer to sleep in complete darkness. When in Dark Mode, Molekule’s powerful PECO technology is not being used; however, Molekule’s PECO-Filter has inherent properties that can filter and kill microorganisms even in Dark Mode. We recommend that you operate Molekule normally as much of the day as possible. This gives you all of the benefits of Molekule’s air purification technology. If you like using Dark Mode at night, we suggest that you turn off Dark Mode during the day. 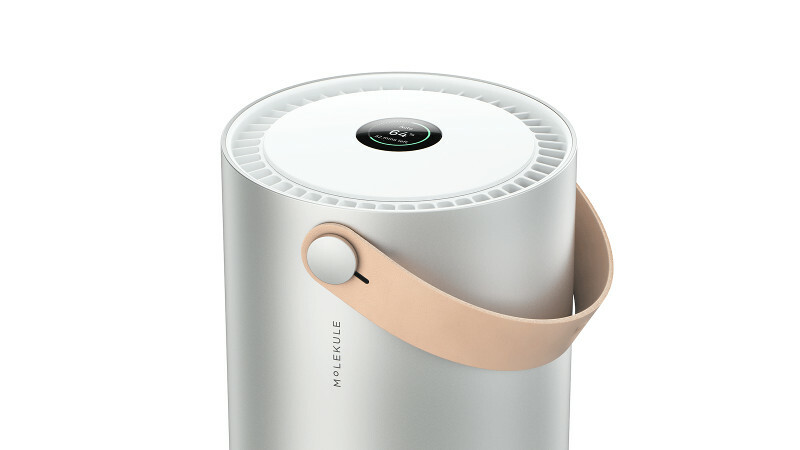 The ultraviolet light (UV-A light) that Molekule uses is a lower energy, safer light than the ultraviolet light (UV-C light) found in some other air purifiers. In fact, UV-A light is the same light that is emitted from common black lights used in residential and recreational applications. In contrast, UV-C has much higher energy and can cause damage to your eyes if looked at. Furthermore, UV-C light can generate ozone, which is a lung irritant. While UV-C light can deactivate microorganisms on surfaces, it has little if any impact on microorganisms in the air, and can be dangerous. In contrast, the UV-A light that Molekule uses is much safer than UV-C and is only used to initiate Molekule’s PECO air purification technology. Molekule's technology uses low energy UV-A LED light to catalyze the reaction of pollutants with the PECO-Filter. UV light is absorbed, and blue light is emitted as a result. We developed Dark Mode for people who are sensitive to light while sleeping. We recommend using this mode only as necessary because the light is what enables and excites the PECO-Filter, allowing it to break down pollutants. In Dark Mode, your PECO-Filter will still circulate and filter your air, just like any other air filter. When the light is on then only will the PECO-Filter break down pollutants trapped on the filter. Additionally, the blue light emitted from the device is very different from UV-C light, found in some other air purifiers. UV-C light is known to cause damage to eyes and produce ozone, which is a known lung irritant.